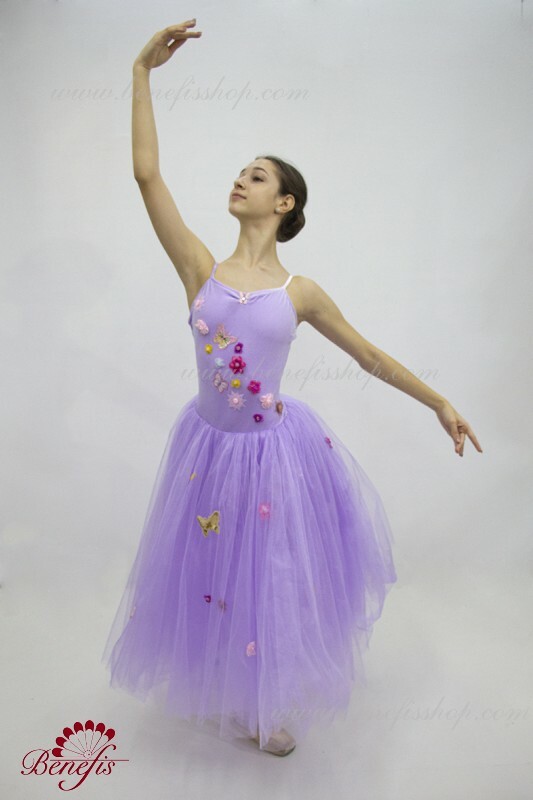 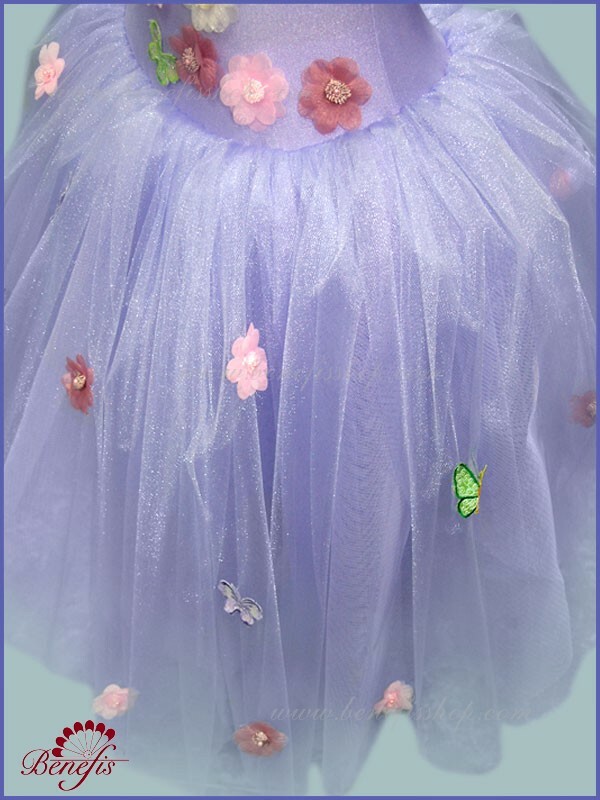 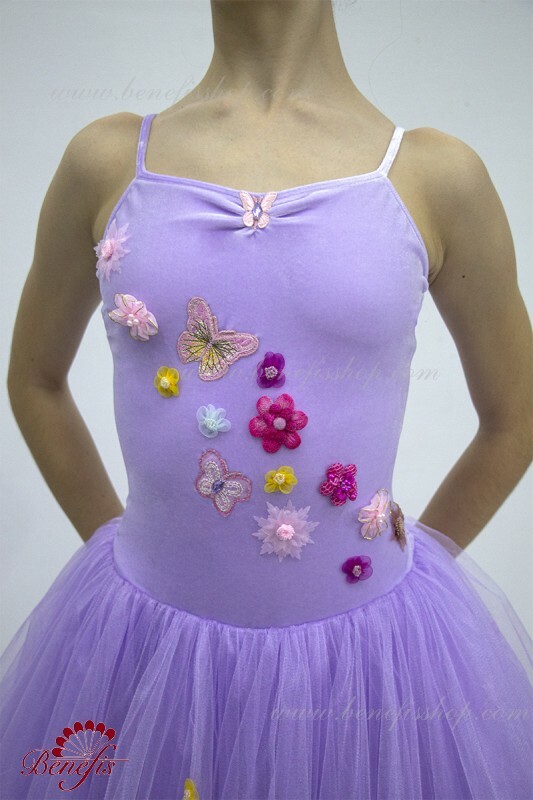 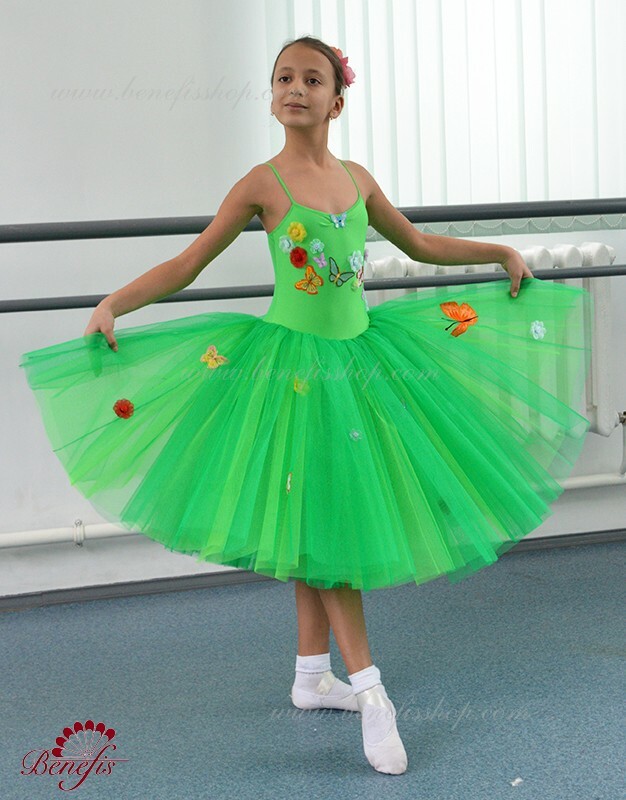 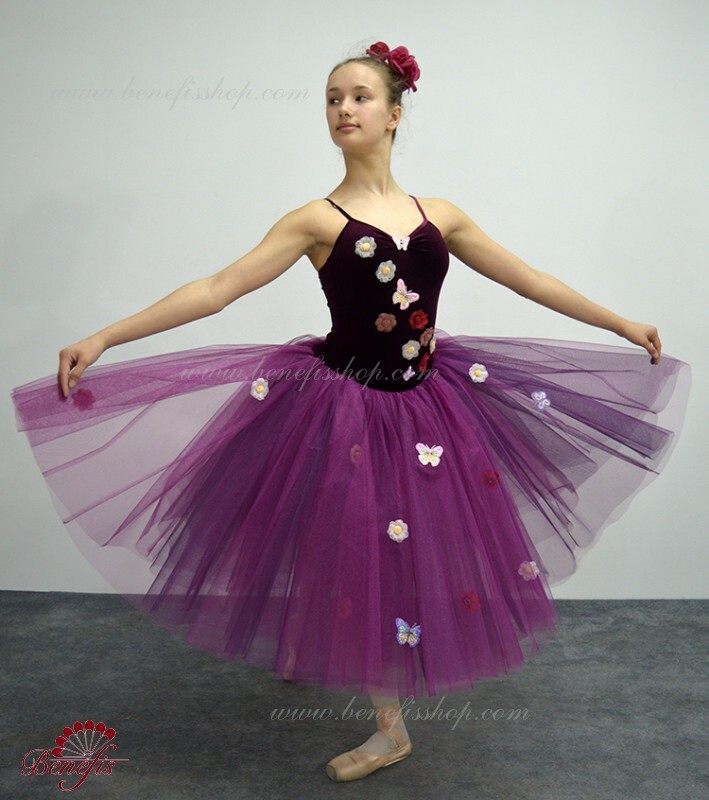 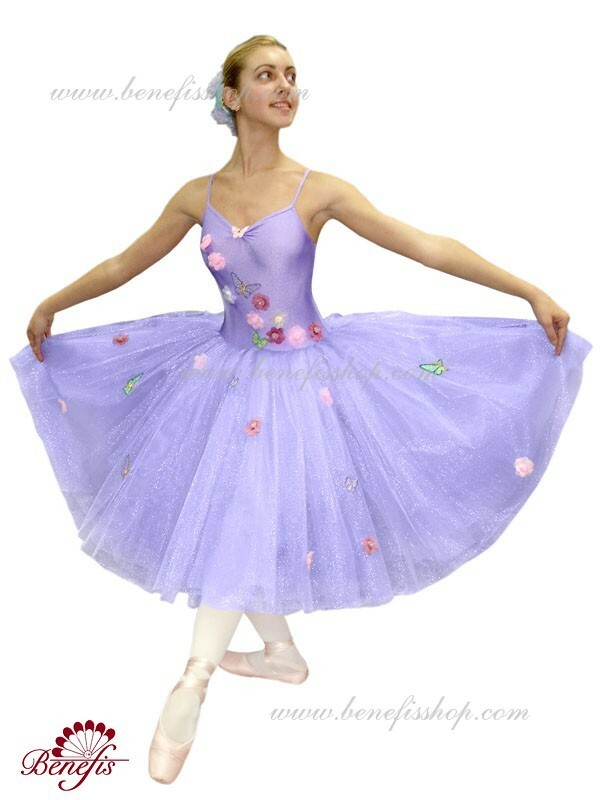 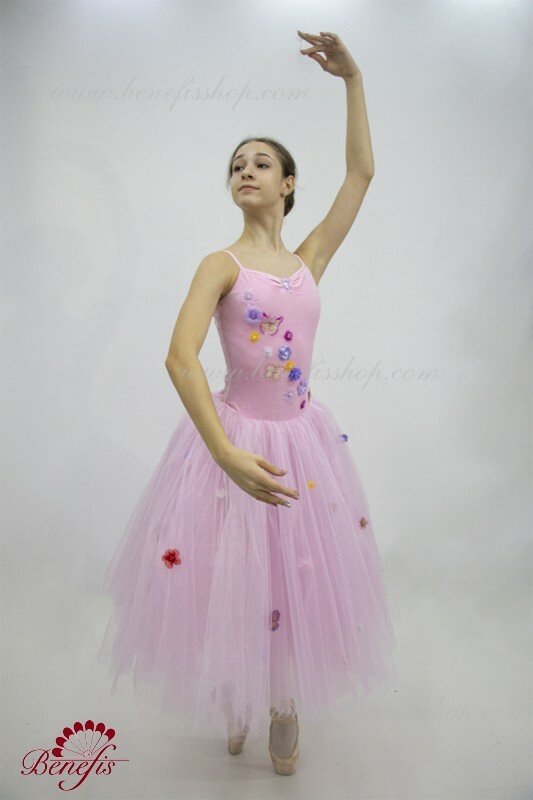 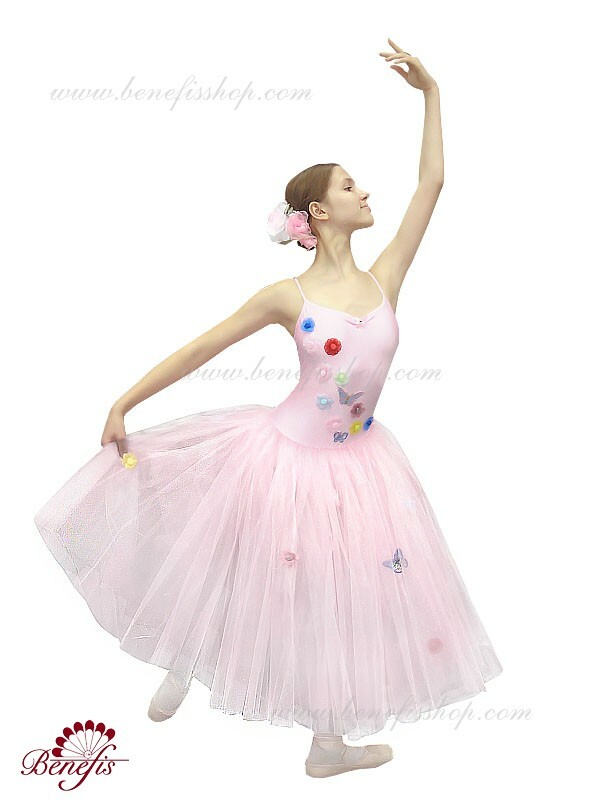 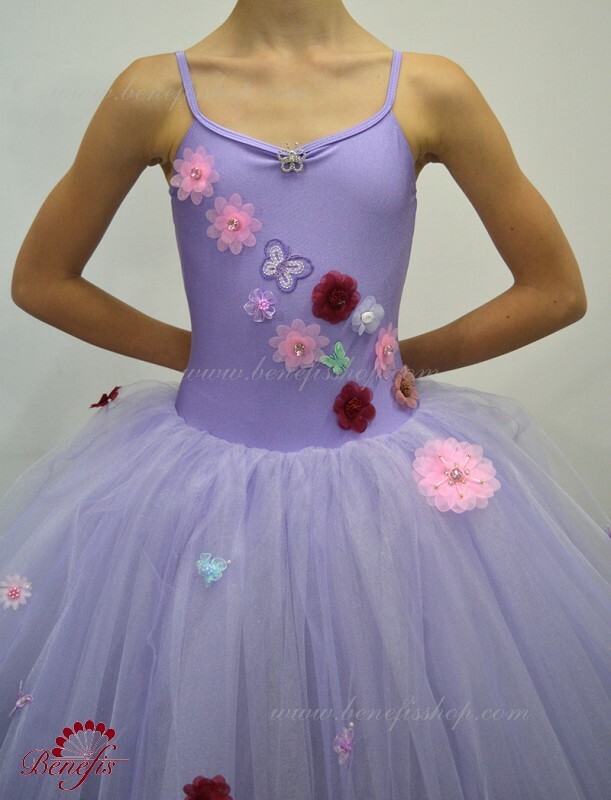 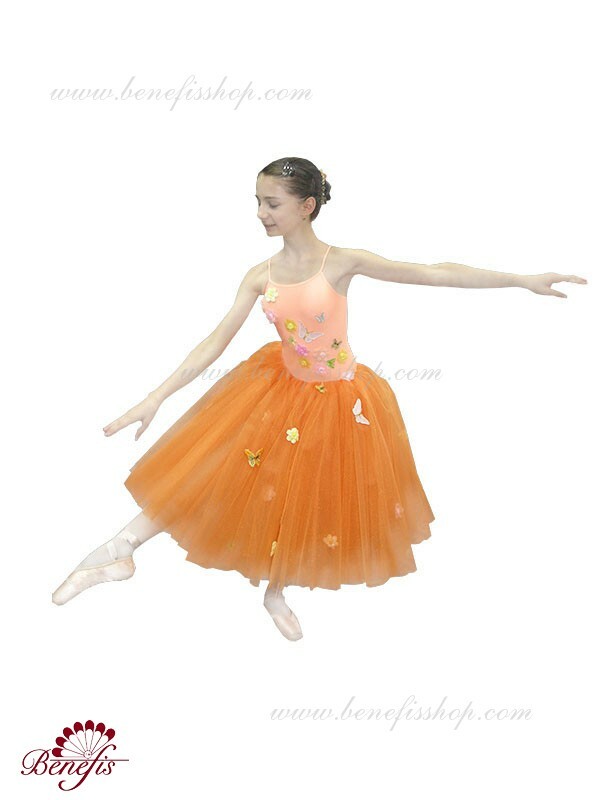 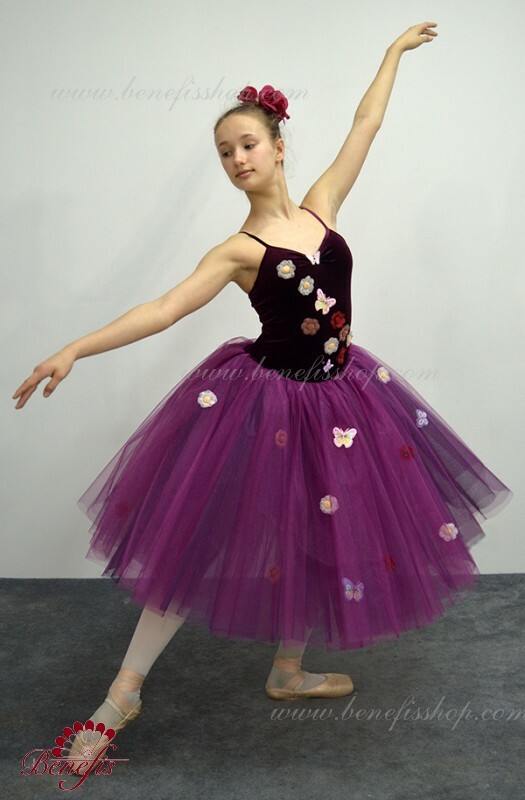 This professional ballet costume is based on the elastic leotard (the model T 0008) and a wide light skirt consisting of four light tulle layers, which is carried out on principals of a flared skirt. 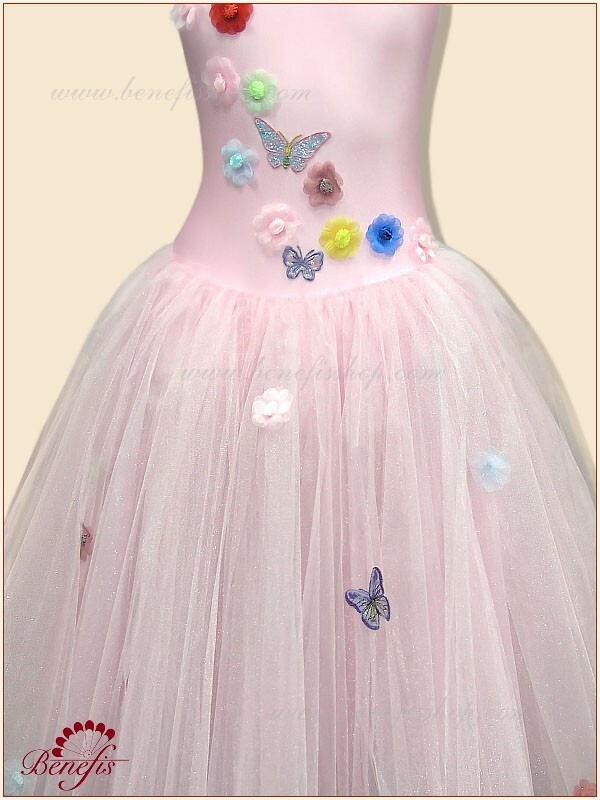 The décor consists of the artificial flowers and applications in the form of butterflies. 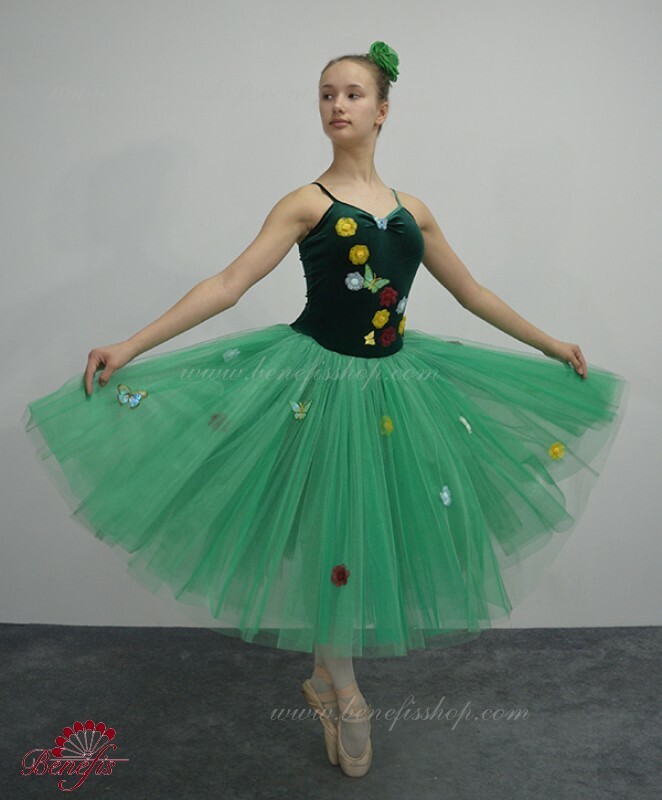 The décor elements match the costume's color. 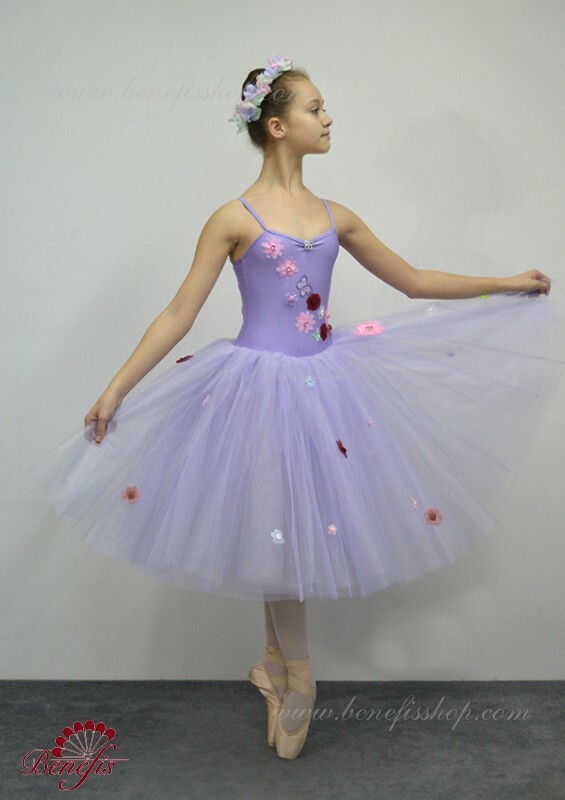 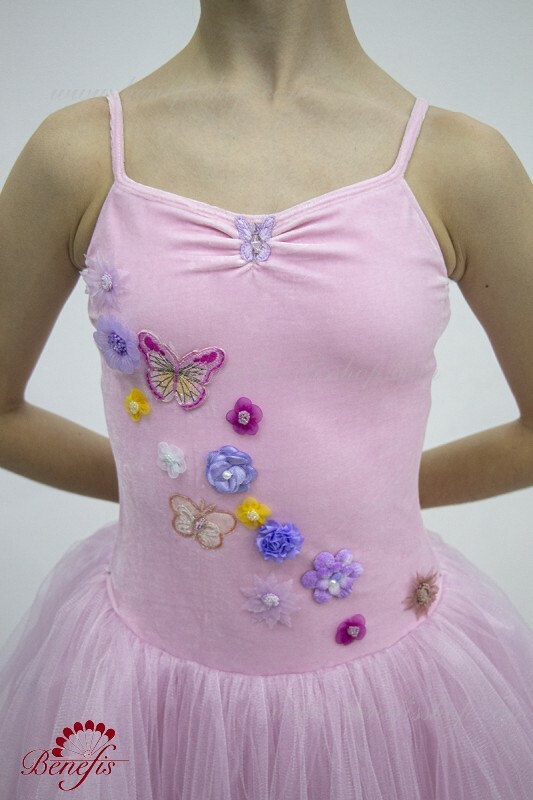 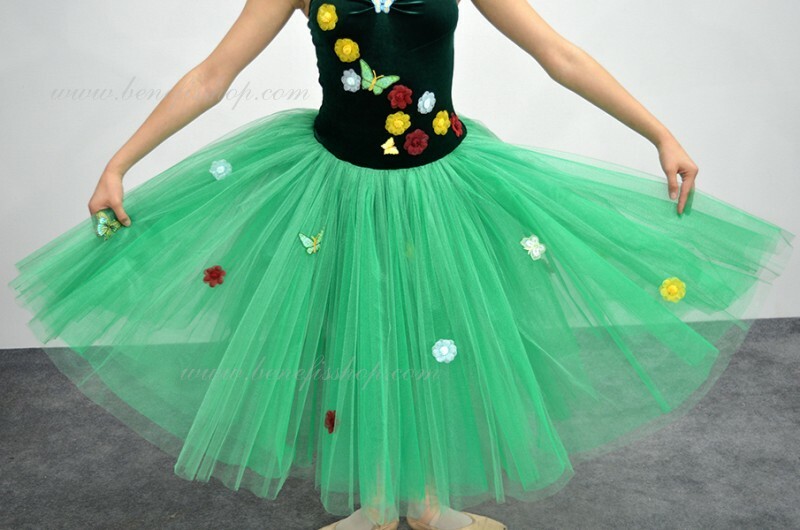 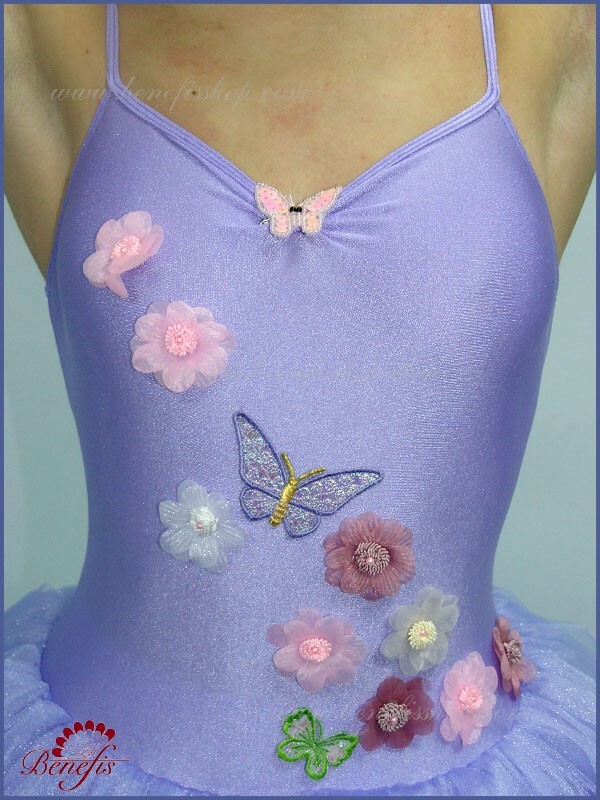 This ballet costume perfectly suits for the "Nutcracker" ballet.